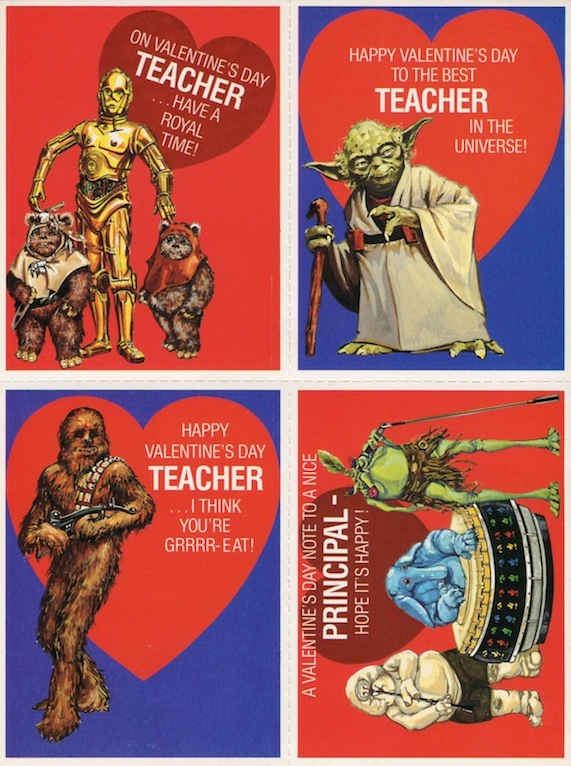 When I was a kid, we would all give Valentines to every kid in our class at school. I guess it’s better than having some kids get a lot and others get nothing, but it is kind of an empty gesture if you think about it. Still, it was kind of fun, and school Valentines do make for some cool little collectibles. 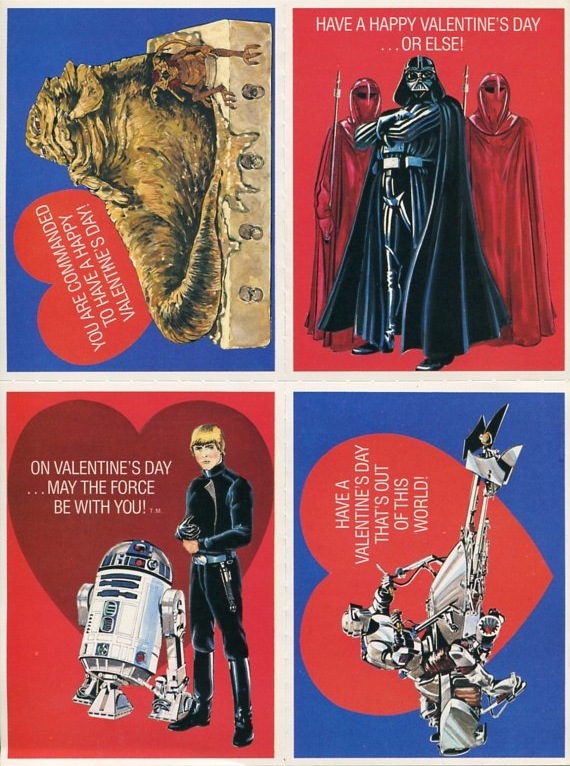 These cards are from a set of Return of the Jedi-themed Valentines from 1983 that were intended to be given out to your classmates, teachers, and principal. 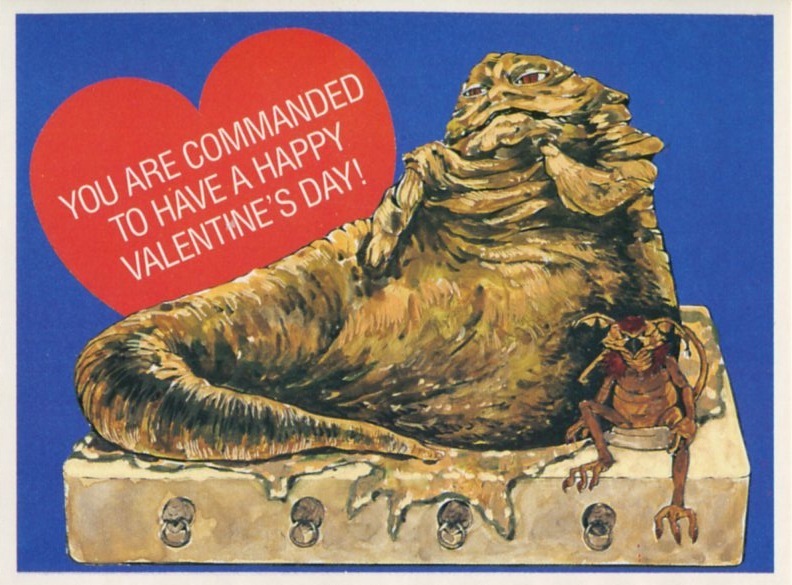 You’ve gotta love the Jabba one (especially compared to the Stand-Up Valentine from 1997). 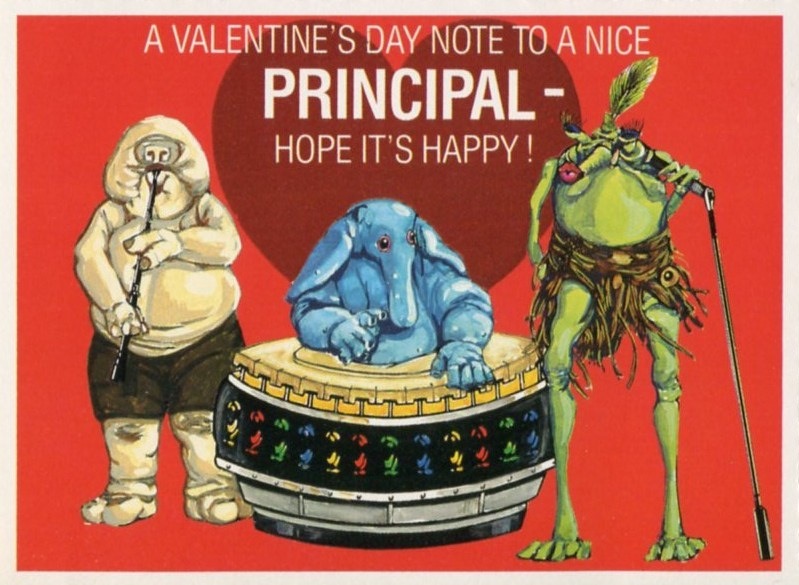 I do imagine that the Rebo Band card below got some strange looks from principals, who probably weren’t as up-to-date about Star Wars characters as their students were.